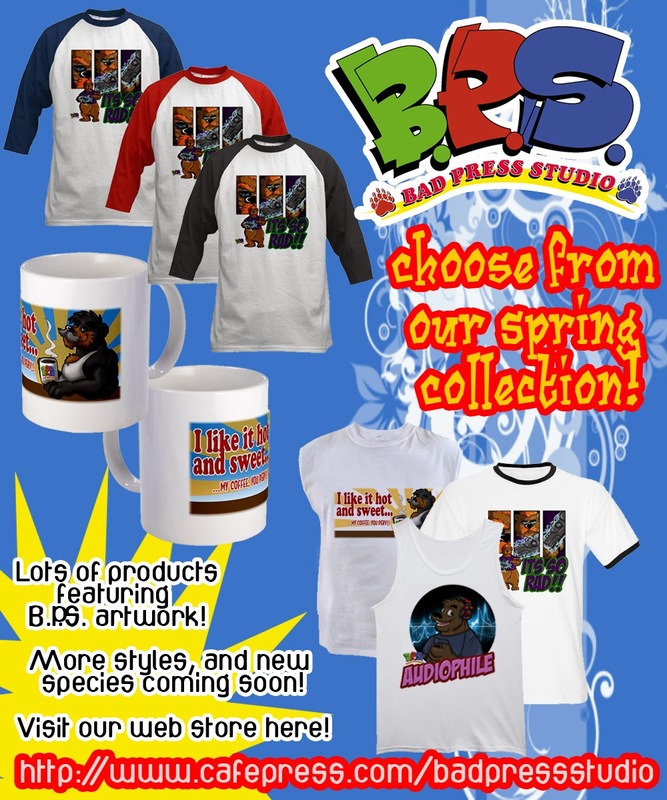 4B Studios: Bad Press Studio Merchandise! Woo! Bad Press Studio Merchandise! Woo! Yep, now you can proudly display original BPS artwork. We've been talking about for some time now, and thought well, what the hell? We should go for it. We have a good selection of art right now, but we plan to add much, much more. So stop on by and see if something catches your fancy.